Introduce your product or service to the visitors of my website and in turn, you're helping to ensure the resources needed throughout DFOI are met. It is truly a win-win situation! 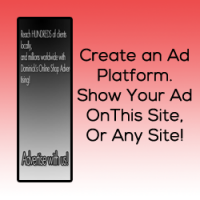 Click the icon below to get started building your ad.